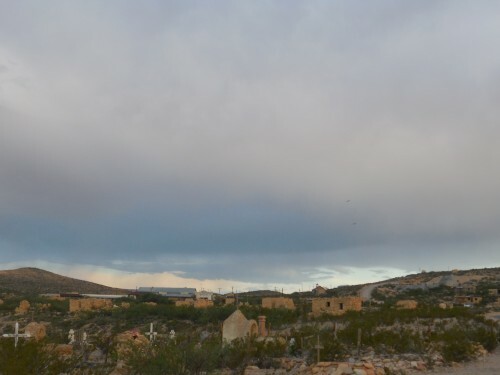 The calm in the skies over Terlingua today belies the havoc that touched down Monday night. 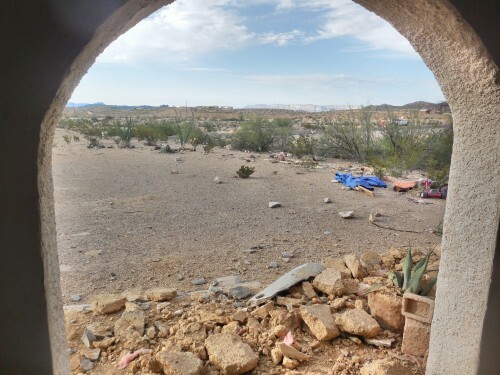 Around 3 a.m., strong winds – thought to be blowing as fast as 50 mph – ripped the entire roof off of the Ghost Town home of Mike Davidson, Executive Director of the Brewster County Tourism Council and long time Terlingua resident. Davidson told KRTS he was in Alpine at the time but got a call just after 3 a.m. advising him of the devastation. 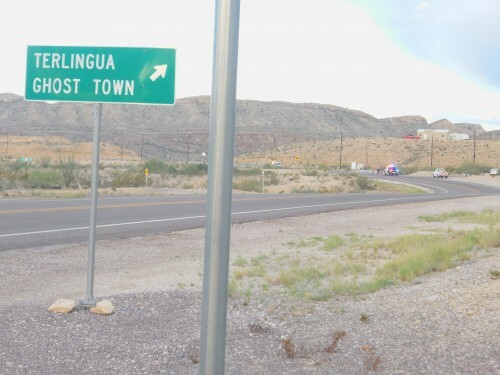 Gay Davidson was in the house at the time and although she didn’t sustain any physical damage, she went to stay with a nearby friend until Mike arrived in Terlingua. 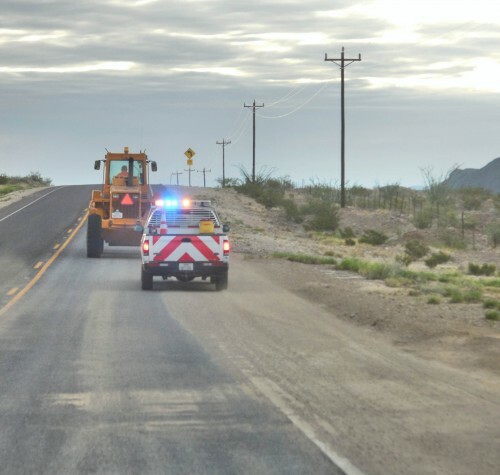 The Brewster County Sheriff’s Department, personnel from the Texas Department of Public Safety (DPS) and local crews were on the scene soon after the winds. 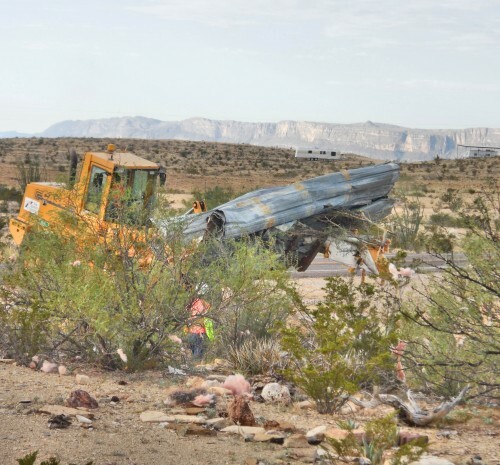 A section of SH 170 was closed to traffic and didn’t fully reopen until 9 a.m.
Davidson’s home is just over 100 yards from the former residence of Dani and Dr. Sam Bottenfield which was destroyed by fire last month. 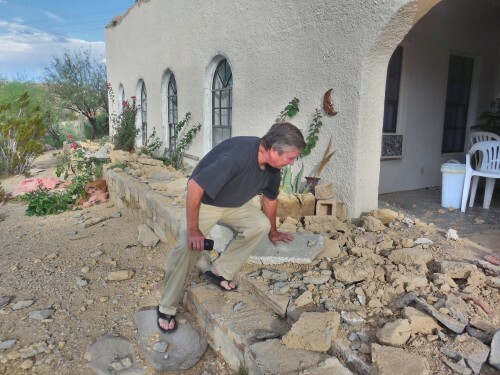 “It’s as if there’s a swath through here that’s prone to these types of events,” said a nearby neighbor, adding that a few years ago, the home of Vicki Harris had the roof ripped off during a similar microburst with pieces of it blowing a quarter of a mile away. 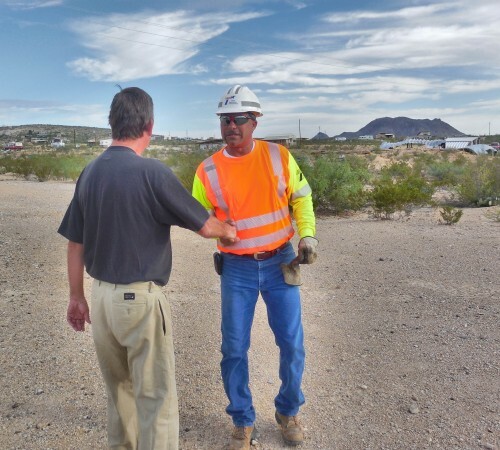 Local resident Jeff Gavin says the winds woke him up just before 3 a.m. and thought there might be a twister. 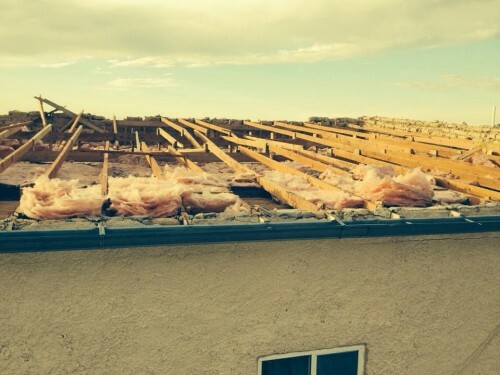 That twister turned out to be the 50 mph winds that destroyed Davidson’s roof. 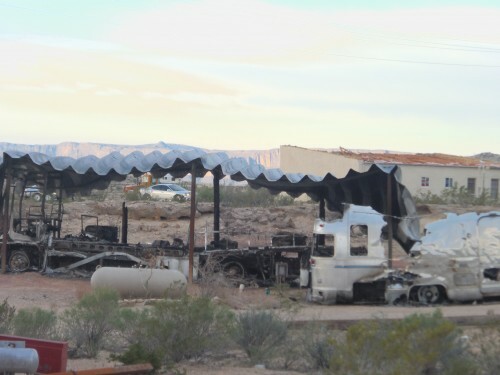 The manager of the Big Bend Resort Gas Station and Restaurant said that she lives 23 miles North of Study Butte and that they experienced hurricane force winds and driving rain but, thankfully, no damage. 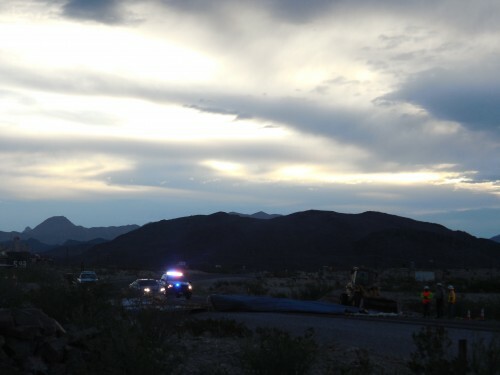 KRTS drove through the area from Study Butte to Lajitas, encompassing Terlingua, and there was no other significant damage to be seen. 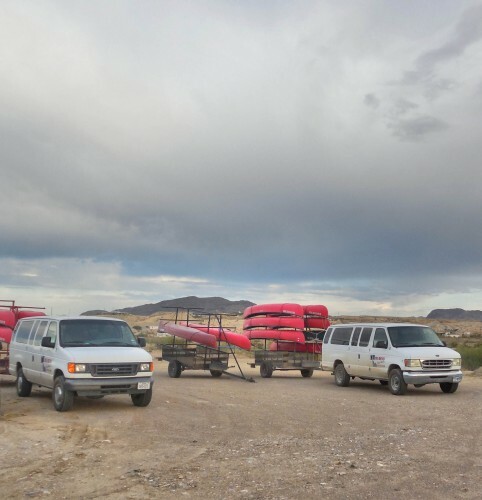 The canoes at Desert Sports, Far Flung and Big Bend River Tours were stacked on their trailers, ready to go, along with customers who were already arriving, for today’s trips along the Rio Grande. 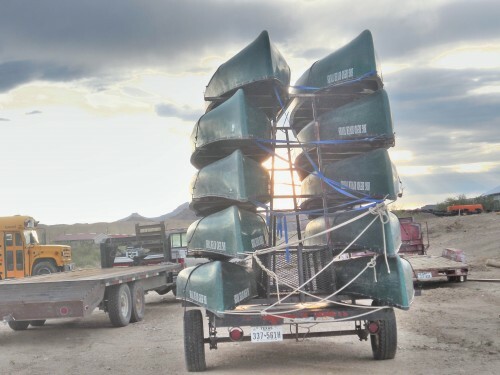 The Rio Grande is often too low at this time of year for river trips, but recent rains have been more intense than usual, causing the river to swell and affording some high-quality river trips. 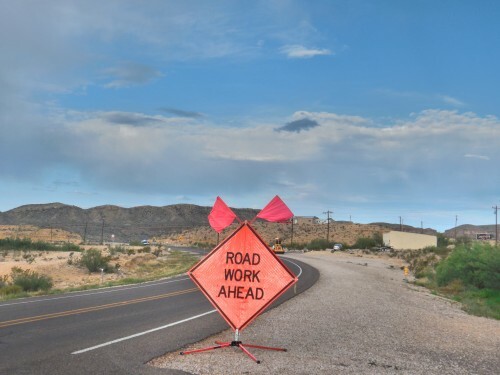 While the recent rains have proven to be detrimental on land, those whose source of water comes from what is collected in catchment tanks have welcomed it, despite the temporary closure to parts of South County and Sawmill Hill roads as well as to some private roads in South Brewster County. Some of the damage to the Davidson residence from inside their courtyard. 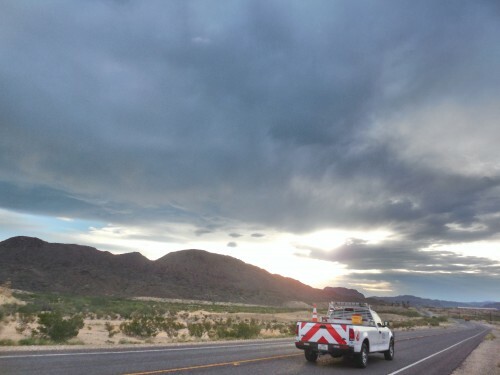 This entry was posted in KRTS News and tagged Brewster County, Microburst, Mike Davidson, Terlingua, Terlingua Storm, Weather. Bookmark the permalink.